According to the American Academy of Orthopaedic Surgeons, meniscus tears are among the most common knee injuries. A torn meniscus occurs as a result of contact sports, during squatting or from twisting your knee. Your meniscus is a piece of cartilage that acts as a shock absorber, cushions your knee joint and helps to keep your knee stable. 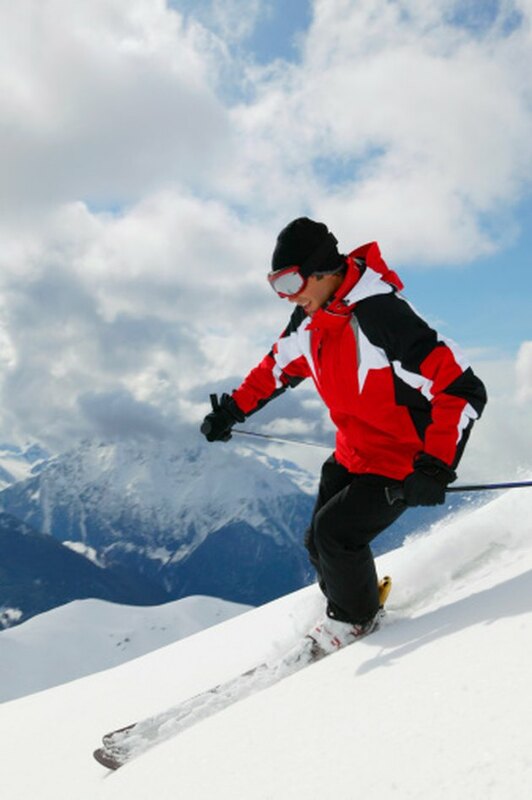 A meniscus tear can make physical activity -- including skiing -- uncomfortable and dangerous. You should not ski with a torn meniscus. Seek medical treatment. If you suspect a torn meniscus, discontinue skiing and visit with your physician. Symptoms of a meniscus tear include pain, swelling, weakness, stiffness and a lack of a full range of motion. Decide on a treatment option. You can treat a torn meniscus conservatively through rest, ice, compression and elevation. For more serious tears, you may need surgery. Participate in physical therapy. Focus on exercises that help to strengthen your knee as well as your entire leg. Straight leg raises, lunges, squats, hamstring stretches and quadriceps stretching can be performed. Engage in low impact exercise. With the permission of your doctor, low impact exercise can help you to stay in shape as you heal while placing very little stress on your affected knee. For your health and weight maintenance, the National Academy of Sports Medicine recommends 30 minutes of physical activity per day, five days per week. Consider swimming, riding a stationary bike or an elliptical machine. Ask your doctor about a knee brace to help stabilize your knee as you ski. Return to skiing with the permission of your doctor. Start out slow and progress to where you were before your injury. To avoid injuries, the National Academy of Sports Medicine recommends gradually increasing your routine by 10 percent weekly until you reach your full routine. If you experience pain while skiing, discontinue skiing and contact your doctor.